When it comes to hitting roads with style and exploring unknown terrains with a powerful machine as ride, Royal Enfield is the favourite of Indian riders. 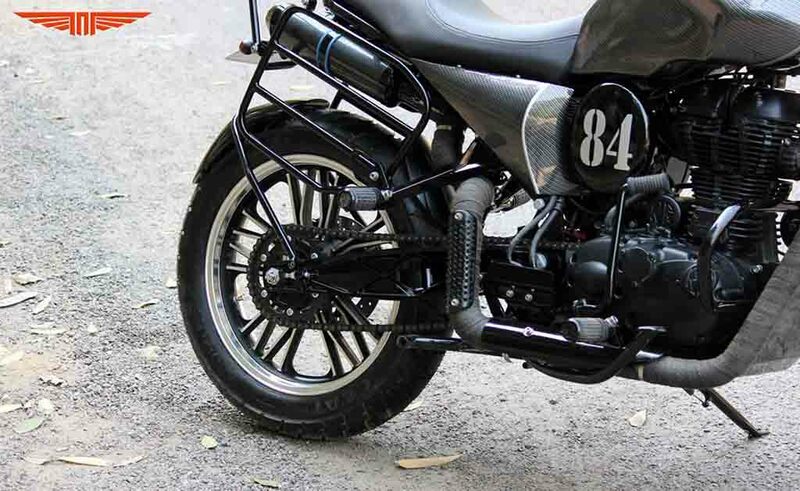 Apart from that, RE motorcycles are pretty popular among the customizing enthusiasts also. 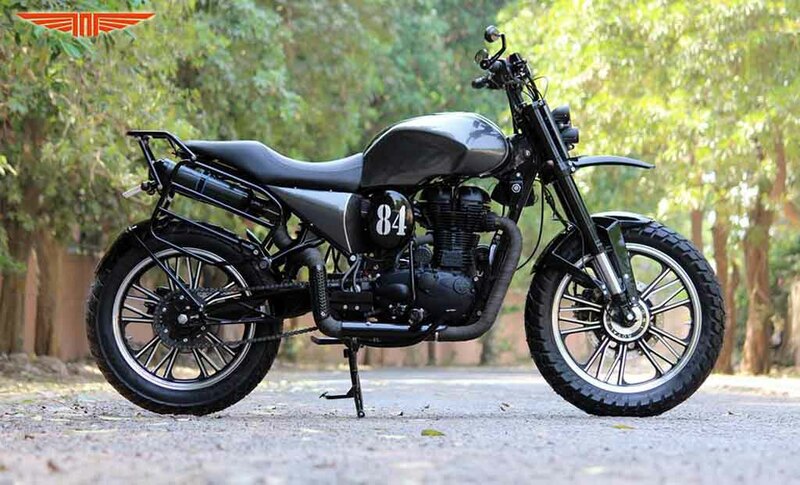 Here we have a customised Royal Enfield Classic 500 modified to a tourer scrambler model and christened as RE535. 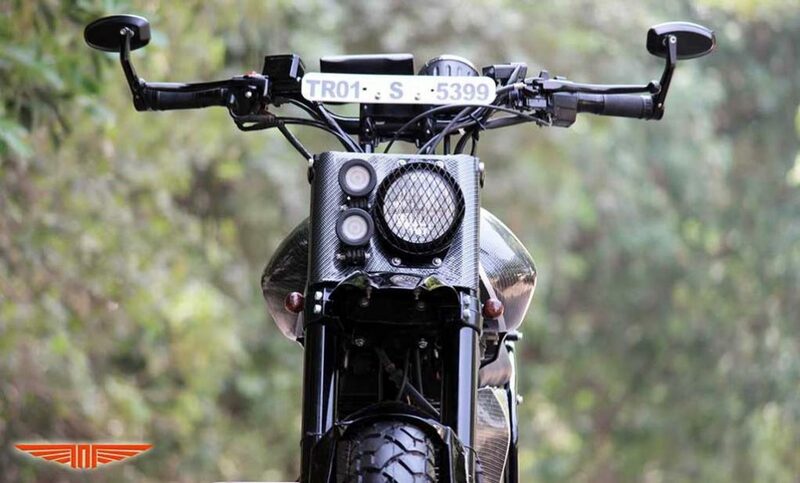 The motorcycle has been modified by Delhi-based TNT Motorcycles and it comes with extensive carbon fibre body parts, in an attempt to reduce the weight significantly. This certainly makes the machine capable of good handling in treacherous terrains. The model has been customised from nose to toe and appears very bold-looking thanks to the beak-like raked auxiliary mudguard. 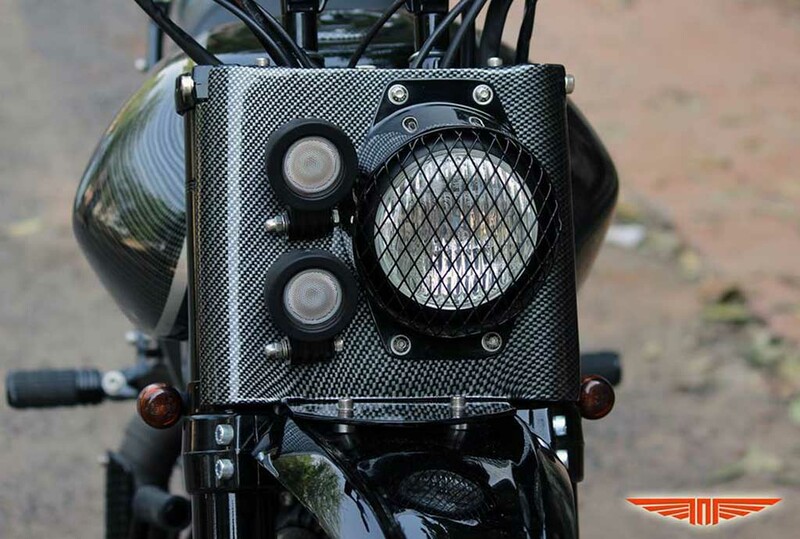 Speaking about its eye-catching styling, the black painted motorcycle sports a redesigned headlamp assembly incorporating twin auxiliary lamps and a protector mesh. The conventional turn indicators seen in the regular model are gone. The custom handlebar with handle riser, new analog-digital combo instrument cluster along with navigation device enhance its appeal further. 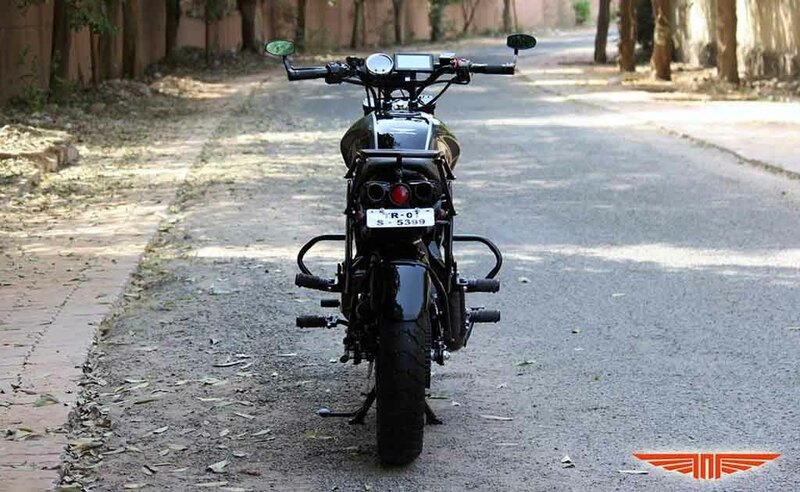 The positioning of the mirrors is also unique, as they are attached to the tip of the handlebars. The fuel tank, side panels come completely revised and sporting carbon fibre. 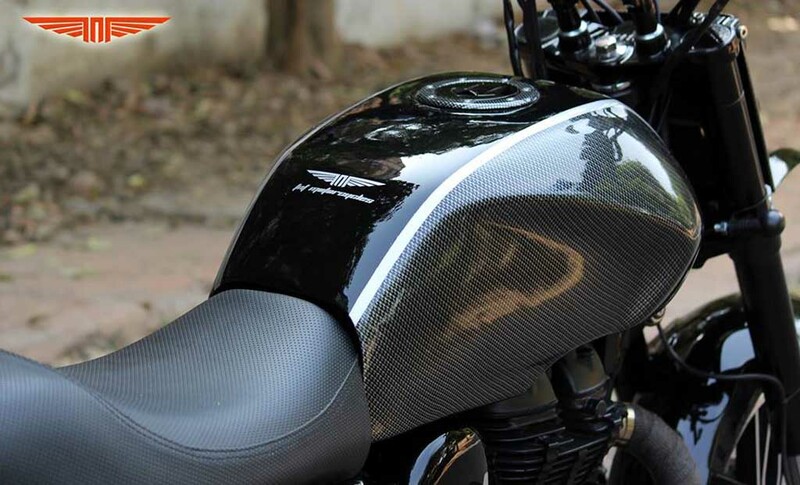 The fuel tank appears curvy and muscular and painted in glossy black. Seat has been changed as well, and it gets a long seat with the riding position lowered to offer better control. 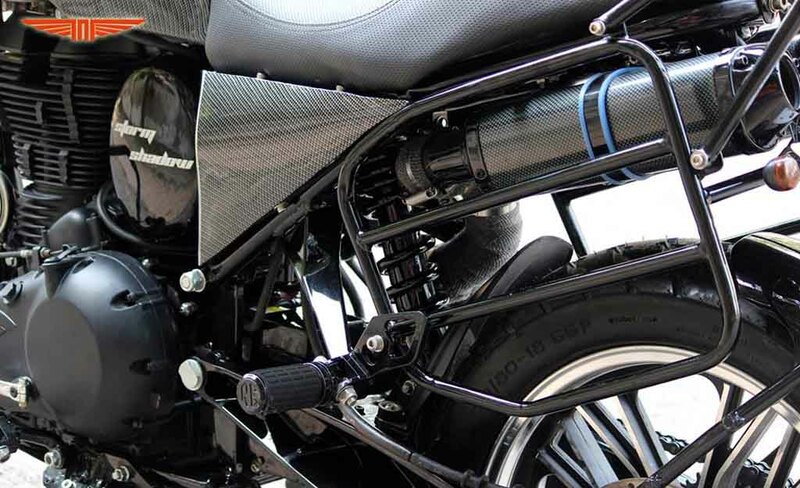 The seat material offers good grip, while the motorcycle sports new twin exhaust barrels positioned under the seat. 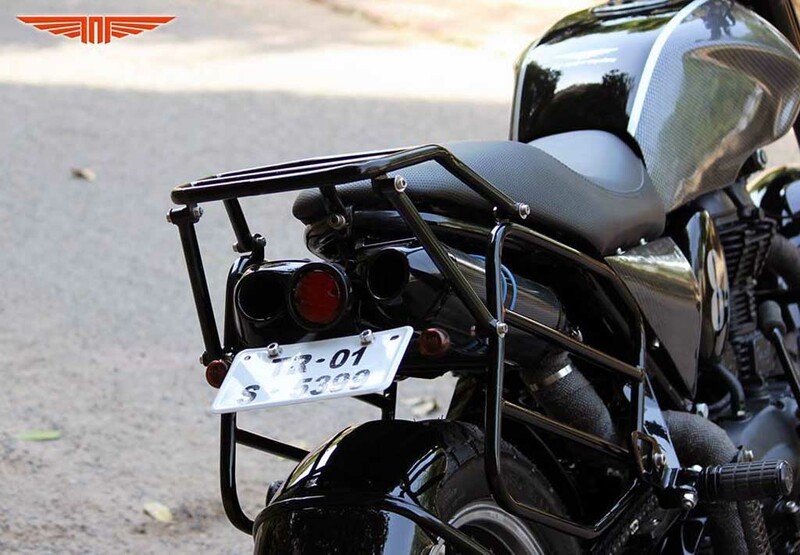 Enhancing the practicality and the off-roading capability are the engine protector with skid plate and the luggage rack. 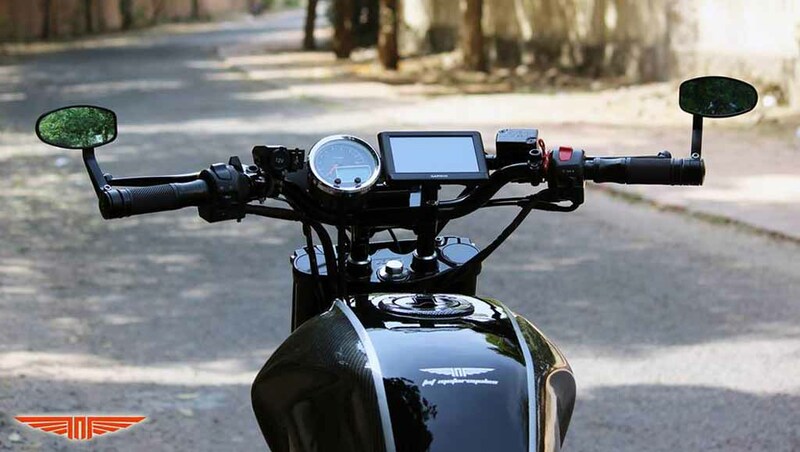 The customised motorcycle also come equipped with cigarette lighter, USB charger, mobile phone holder. The RE535 comes with an impressive raised ground clearance of 254 mm. The modifier has given it the swingarm borrowing from KTM. It runs on 19-inch front alloy wheel and 18-inch rear alloy wheel. Both the wheels are wrapped in off-road centric tyres and braking duty is done by disc brakes at both front and rear wheel. 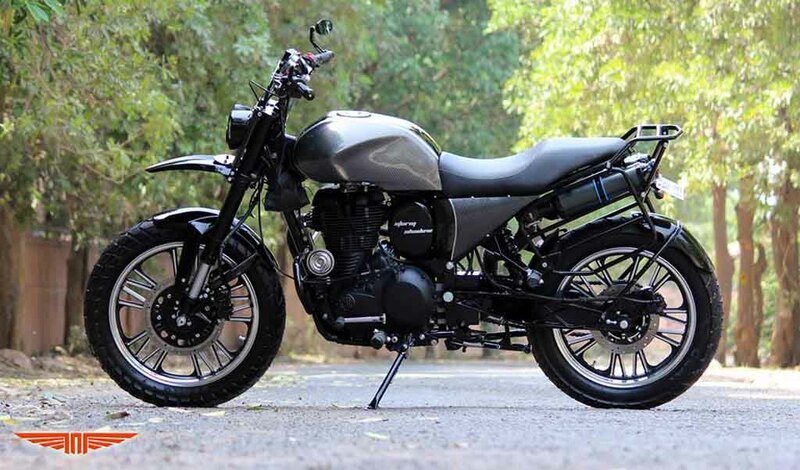 Powertrain of the Royal Enfield Classic 500 RE535 has been re-tuned to deliver more power. The 499 cc engine kicks out 29 bhp of peak power compared to 27.2 bhp at 5,250 rpm in the regular model. The peak torque amount of the motorcycle is 41.3 Nm generated at 4,000 rpm.